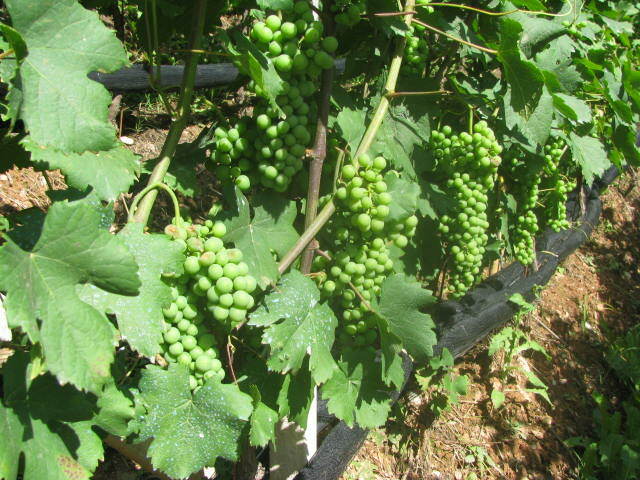 Wine has always played an important role in Italian economy, gastronomy and in every day life. 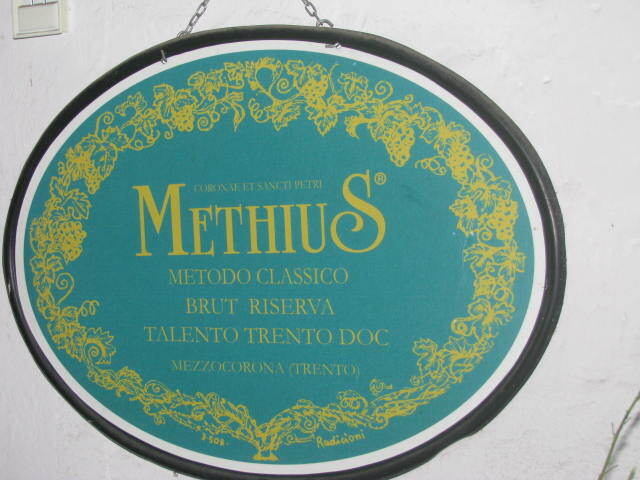 In fact, with and around wine Italians cook, eat, discuss, evaluate and celebrate. One upcoming opportunity for wine to be truly the focus of attention and celebration will be in Verona, the ancient home town of Romeo and Juliet, from March 22 to March 25, 2015 at the Vini Italia 2015 event. The exhibition will take place beyond the very ancient stone walls of the beautiful and ancient city (Porta Nuova) which goes back as far as Roman times. 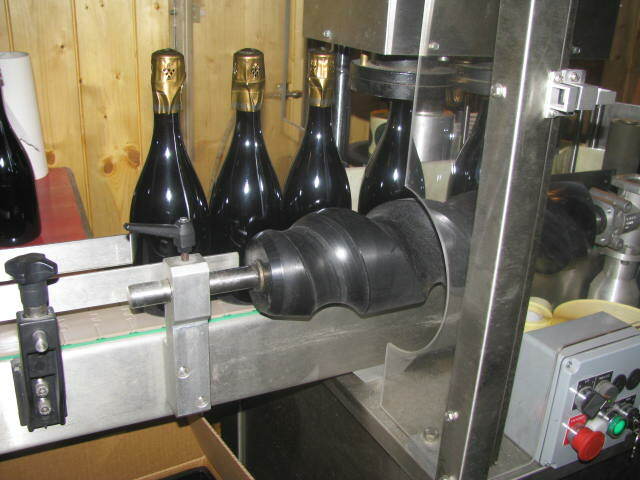 It will gather more than four thousand wine and spirit producers, merchants, and Italian as well as international visitors. Italian and foreign connoisseurs, as well as vineyard representatives, will be on call among the stands showcasing the best of the wine and spirit industry; among these many, about 2,000 will be of Northern Italy, including the producers of ancient wines, such as the Enantio, which dates back to Roman times, and several Veneto wineries where superb wines are produced, such as the Amarone, Recioto, Valpolicella and Soave. Of course, also many different brands of the famous Italian “moonshine” called grappa will be available. The aim of this year’s VINITALY 2015 will be again, like during past years since 2004, supporting the Italian wine and spirit sector, and the Italian food industry in general, as to ensure an updated impetus for the exports of these products which enjoy positive results, however, need constant outlets to ensure a support to Italian competitiveness within a dynamic market which is constantly challenged by foreign competitors. The event will also be an opening to another major International and Northern Italian food and nutrition related happening, the EXPO, which will be held from May 1st to October 31st, 2015 in Milan, the busy capital city of Lombardy. 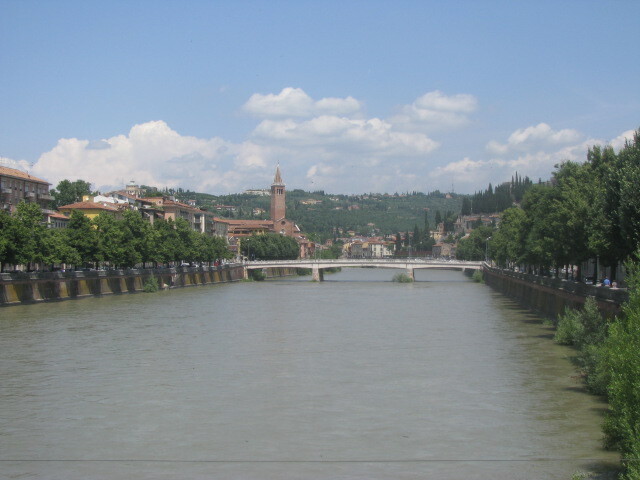 The very first settlement of Verona dates back to 49 BC when Roman law came into force and Verona inhabitants were registered as Roman citizens with all the official rights that Romans had according to Rome. 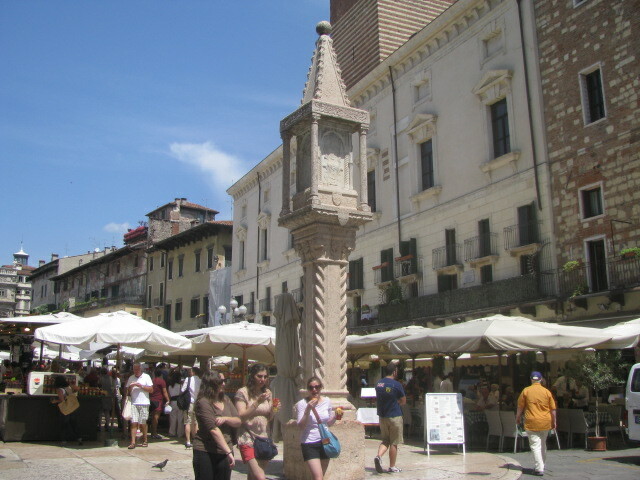 The octagonal shaped city was set on the right bank of the River Adige and included a Forum area which today still exists and is called Piazza Erbe (the greenery square). The Forum area was surrounded by typical Roman buildings which included a capitol, a basilica, and several public buildings, which are still partially visible today. Verona’s Arena, the third largest Roman amphitheater in the world, after Rome’s Colosseum and the Amphitheater in Capua near Naples, was built around 30 AD. It served to showcase Roman toughness and mock battles as well as gladiatorial contests. The open air theater could hold the entire population of the city plus visitors who came from all over the Northern region of the peninsula. By order of the Roman emperor Gallieno in 265 AD Verona reinforced the city’s walls and at the same time expanded the size of the city. Later the city and its walls were expanded further by Theodoric King of the Goths (475-526) who after having defeated the Huns ruled Italy from 493 AD on until his death and who built his own palace on the left side of the River Adige [G.P. Marchini, Verona Itineraries of History and Art, p. 9-11, 1987, Banca Popolare di Verona; S.Boulton & C.Catling, Venice & The Veneto, p. 195, 2000, Dorling Kindersley, Inc. London]. There are several stories around two lovers who failed to “live happily ever after.” Romeo and Juliet are not original Shakespearean heroes. Among the very first novels, telling the story of the two unfortunate lovers, are one by Luigi Da Porto, a Vicenza born novelist who lived between 1485 and 1529 and Matteo Bandello (1485-1561) who from his native Piedmont region wrote about the loving couple of Verona. William Shakespeare who was born three years after Bandello’s death in 1564, immortalized Romeo and Juliet after probably reading Bandello’s novel and an English rendition of Arthur Brooke called The Tragical Historye of Romeus and Juliet. The play written by Shakespeare was and has been a huge success ever since with several actors, including two movie actors who played the part wonderfully: Leonard Whiting and Olivia Hussey. Was the story true? Probably or at least partially true. Many have been the lovers who throughout history have experienced difficulties. However, what is very interesting is not only the story but also the culture and the era around the story. 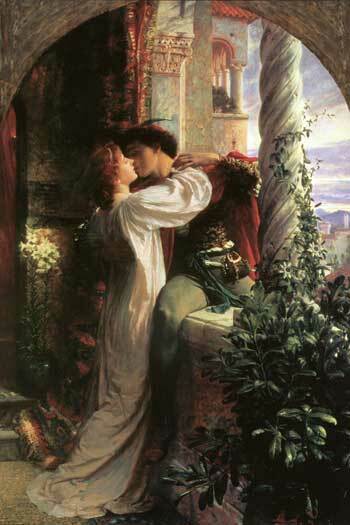 Take Bandello’s story, for example: According to the Italian novelist (1485-1561), Juliet’s parents arranged a marriage for the girl, not because they had plans for a power union, but because this is what they believed Juliet wanted while she cried for the absence of Romeo and never revealed that she had secretly been married to Romeo by Frate Lorenzo. Later Juliet died of grief when she saw Romeo dead, after he had killed him self because he did not know that she was only apparently dead due to the potion the friar had given her. Have times and loving couples changed? Yes, but Italy’s wines and foods are still superb. Cheers! Bon Appetit! See you at the Vinitalia 2015 – International Wine & Spirits Exhibition in Verona, Italy!